"Ours is the loneliest profession, Mr. Bond." 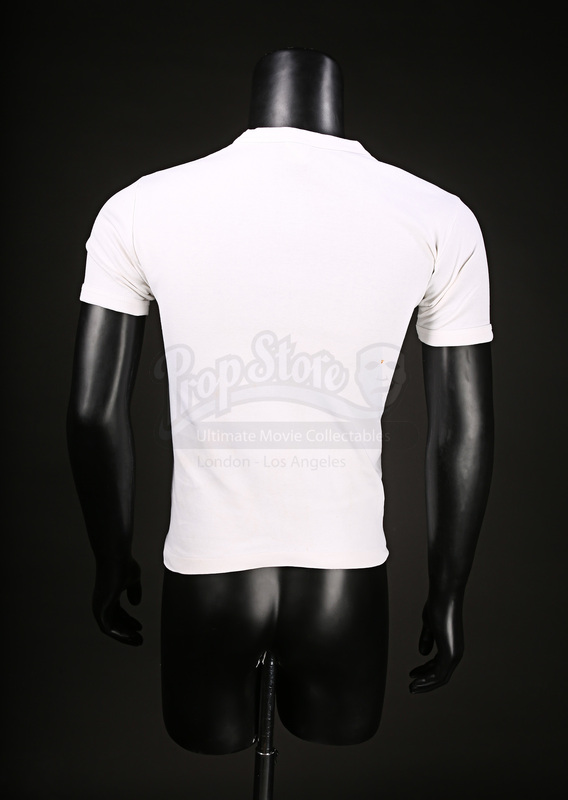 A white crew t-shirt from the production of Roger Moore's second appearance as James Bond, 1974's The Man with the Golden Gun. James Bond finds himself the target of the world's most expensive assassin as he attempts to save important solar cell technology. This t-shirt and others like it would have been given to the crew working on the film. It is made from white cotton and marked as size 'L', although it is smaller than a conventional large. 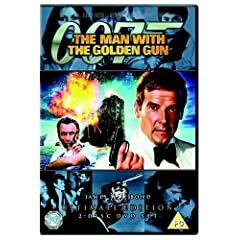 'James Bond 007 - The Man With The Golden Gun' is printed in black on the left breast. The shirt has been dry cleaned, but features minor staining and print fading from natural ageing and storage. It remains in good overall condition.